I often receive emails where travellers ask me about details of getting by ferry from Bari, Italy to Dubrovnik. They usually ask about the process of booking, checking in, boarding and other logistics for this ferry travel route so I decided to write it all down on this page. The first time I went by ferry from Dubrovnik to Bari was in 1975 (yes it sounds long time ago, but I was born a long time ago 😉 ) At that time we used to go by ferry to Bari once or twice a year just to buy stuff in Italy, things you could not get here such as jeans, vinyl records, cool t-shirts, Italian shoes, trainers and things like that. We would just go there for a shopping day trip. The ferry route was convenient as it was the nearest point of departure abroad to West from this, South part of the country. It was always great fun sailing across the Adriatic. 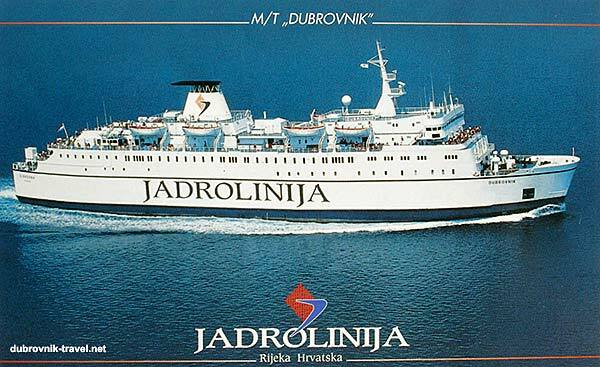 First, check Timetables / Schedules >> Jadrolinija is still the only ferry company that runs this ferry line. However, departures are now seasonal only and starting from early April to late October. There are no offseason departures. In case you need off-season travel your nearest alternative ferry line is Ancona to Split ferry. 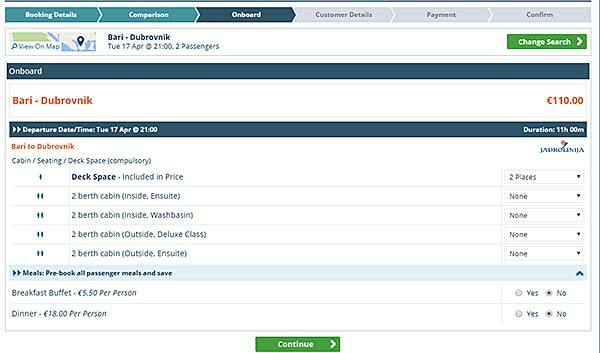 Once the booking process is finished and your ticket is paid, you will receive a confirmation email which you have to print out and take with you in Bari ferry port to present it on check-in/boarding desk prior to boarding the ferry! (important!) You will then get a printed boarding pass for boarding the ferry. After passing through passport/immigration control you will board the ferry. Once on the ferry, you are in safe hands, the staff/crew will help you with directions and luggage. Check-in for cabins is in the reception area upstairs where you will get the keys for your cabin. The ferry leaves Bari at 10 pm. Enjoy your journey and the following morning you will be in Dubrovnik!